Magazines: Articles in magazines are usually short in length and are written in a popular style. An example of a magazine that has articles on economics is The Economist. Journals: Articles in journals are usually lengthy and are written by scholars and experts in the field. They often have bibliographies and extensive footnotes (which can provide leads to other sources). Examples of journals that have articles on economics are American Economic Review and Journal of Economic Literature. and Design vol. 4, no. 2 (1995): 118-152.
http://ahameri.com/cv/ under Research & Publication. Discusses the evolution of Kahn's design for the Library in theoretical terms. Armstrong, Rodney. "New Look Library at Phillips Exeter Academy." Library Scene 2 (Summer 1973): 23-25.
realized in the design. The cover has a color photograph of the building. Betsky, Aaron. "Heart vs. Head: In architecture we trust, all others bring data." Is architecture art or science? Oeuvres 1963-1969. Architecture d'Aujourd'hui, No. 142: 70-73. Brief text, photographs of models and plans. Architecture review; "a work of enormous individuality and strength." Relationships, and Ordering Ideas in the Work of Eight Architects." State University at Raleigh, 1979. Comstock, Paul. 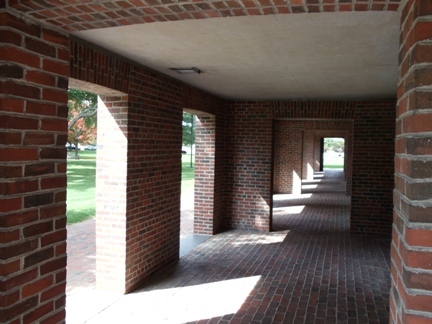 "An Interview with Louis Kahn Biographer Carter Wiseman." Carter Wiseman talks about Louis Kahn's life and his architecture.